Oonagh McCullough goes into this week’s European Championships determined to reproduce the form which earned her the tag of Northern Ireland’s most improved player of 2011. It was a memorable year for the Knockbreda woman, who graduated in Medicine last summer and then played a leading role as the girls in green reached the World Cup quarter-finals for the first time ever in Singapore. Now working as a doctor at the Royal Victoria Hospital, McCullough has tasted plenty of success at club level in the domestic season just ended, firing South Belfast outfit Graduates to the NI league and cup double. The increasingly confident and physically imposing 25-year-old was her club’s leading goal-getter and held her nerve to help Grads see off Larkfield 55-50 in the final of the knockout competition last month. It was at last April’s European Championships that McCullough made her big international breakthrough, firstly impressing in a cameo appearance against Scotland and subsequently being promoted to the starting line-up. This week in Sheffield, she is set to partner former captain Noleen Lennon up front though the coach’s option of using European player of 2010 Caroline O’Hanlon there instead of centre will keep Oonagh on her toes when the tournament gets under way on Friday. Her main rival of last season, Larkfield’s Kyla Bowman, has opted out of the squad this term, creating an opening for current NI Under 21 captain Maire Toner who comes from Belfast’s Malone Road. Maire is the younger sister of Fionnuala Toner, who was first choice goal defence for Northern Ireland in last summer’s World Cup in the Far East but is currently in America playing basketball having taken a year out from her accountancy degree at Queen’s. Half of the 12-strong squad for the Europeans are Graduates players with club captain Louise McKeown, new NI captain and vice-captain Gemma Gibney and Hannah Irvine, defender Frances Campbell and reserve goalie Cheryl Wilson joining McCullough on the trip. The greens go into their first competitive action since the 2011 World Cup on the back of an encouraging 54-38 victory over their Scottish counterparts at a warm-up event in Glasgow the weekend before last. With the prolific Lennon not fully fit, McCullough had to take on the role of chief shooter in the first and final quarters and proved she is capable of doing a job in that capacity when called upon. A strong Euro campaign is essential if the North are to maintain their place in the world’s top 12 and hence qualify for the 2014 Commonwealth Games in Glasgow. 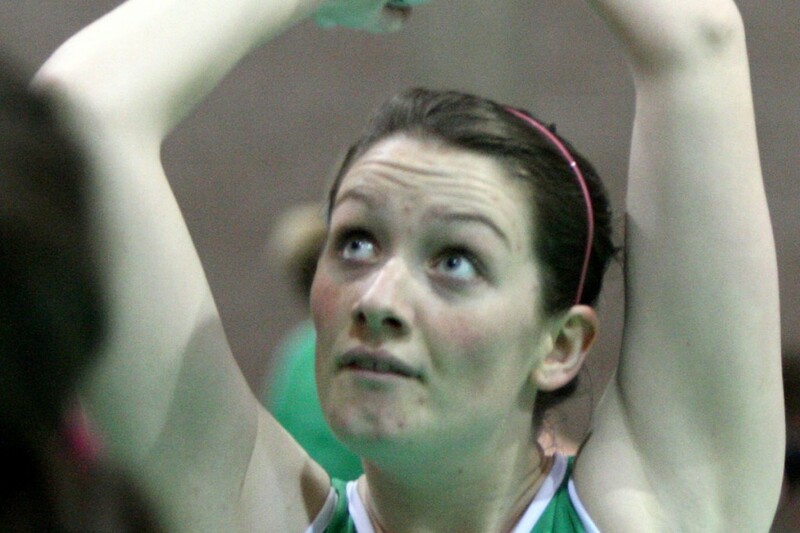 In new coach Jill McIntosh, a double World Cup winner with her native Australia who was recruited when St Mary’s senior lecturer Elaine Rice stood down last autumn, Northern Ireland have one of the biggest names in international netball guiding them.